Star Trek: Discovery will be back for a second season. CBS All Access today announced the renewal of the new Trek series, the day after its sixth episode debuted on the streaming platform and around the world. There’s no word yet on how many episodes the show will get for Season Two or when it will premiere, though the fall of 2018 seems like a safe bet. We’ll also have to see which characters survive the show’s first season. The cast currently includes Sonequa Martin-Green (Michael Burnham), Doug Jones (Saru), Jason Isaacs (Gabriel Lorca), Anthony Rapp (Paul Stamets), Shazad Latif (Ash Tyler), Mary Wiseman (Silvia Tilly), Mary Chieffo (L’Rell), James Frain (Sarek), and others. Producers say that the Federation war with the Klingons will occupy the first season of show, with Season Two moving forward to a different story. 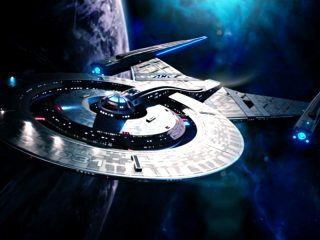 Discovery‘s first season is set 10 years before The Original Series, an era in which hostilities with the Klingon Empire have settled into a cold war. The renewal is a big vote of confidence in the series, which generally has been well-received by fans and critics alike. Naysayers suggested before the show began that its production delays, and the loss of co-creator Bryan Fuller behind the scenes, signaled a failing show that would be quickly cancelled and replaced with something else. Discovery is also not your father’s Trek, and not as much of the family show as its predecessors. The show has made waves recently with the first F-bomb in Star Trek‘s 51-year history. CBS All Access said that the launch of the series in September broke records for subscriber sign-ups in a single day, week, and month for the streaming service. A week after the show’s debut Variety reported that subscription revenue for the service — which launched in October 2014 — had nearly doubled. 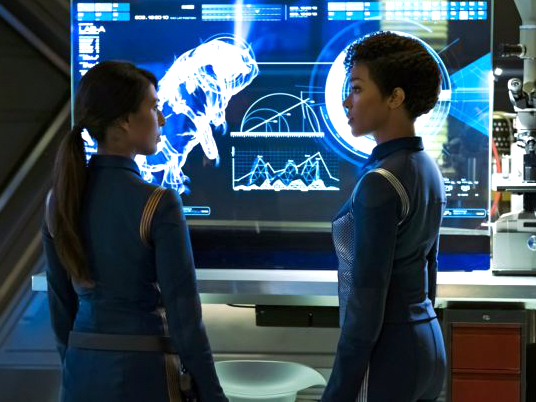 Star Trek: Discovery drops new episodes Sunday evenings (8:30pm ET) on CBS All Access, which is still offering a week-long free trial for new subscribers. 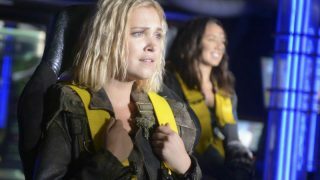 Nine episodes will wrap up the first chapter of Season One, concluding November 12. The final six episodes of the show’s freshman season will debut in January. Keep up with Star Trek: Discovery all season long with SciFi Stream’s episode guide! hope this comes onto bluray. I’d buy it for sure.